Is this microphone still on? I’m sorry for my absence. I recently read a statistic that said that nearly x(*)-percent of blogs were abandoned within the first year of their founding and honestly – as someone who has written and contributed to a number of blogs over the past several years, I was not surprised to see that number. Blogging is a commitment. And while I’m going to grant myself some grace in regards to my blogging practice (Demanding full-time job! Two toddlers! Good fiction is going on from my fingertips! ), this space is important to me. So … haaaaaiiiiiii. Happy New Year! How are you all? What’s good that’s going on in your worlds? What is inspiring you? Version three edits of Afterlife (AL) were finished before the Christmas Eve deadline that I set for myself. AL is currently resting on my brain’s back burner and will be picked up again in a week or so to start the next round of edits. AL also received an award! 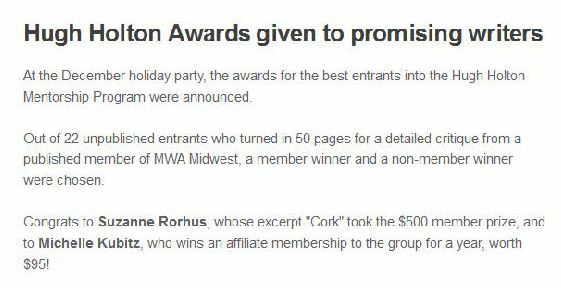 Right before the New Year, I received an email from Mystery Writers of America Midwest Chapter (MWA Midwest) that the critique of AL that I submitted was one of the entries selected for the Hugh Holton Award! Being called a “promising writer” will never get old. So while v3 is marinating in its own weird thought process, I’ve decided to treat myself to a little bit of a diversion. No, I’m not binge watching old episodes of Quantum Leap. (That was at the tail end of November. And yes, that did get in the way of the deadlines I had set for myself. Darn you Scott Bakula!) I’m going through and outlining a story idea that I had a few years back and have a few chapters written on. Although AL is a marriage, I’m having a wonderful little fling with this story that I call “Summoned.” Again, I want to give AL a month’s worth of rest, so I’m doing a little bit of research on Summoned, working on an outline (I’ll talk about my crazy writing process in a future post. I always thought I was a pantser – and I am! – but man, there’s something seductive about writing an outline too.). I am aiming to be done with the outline by the time I pick AL up again. So … life is good. Life keeps rolling on. And I keep setting deadlines. I wouldn’t want it any other way. (*) Of course, now I can’t find that random statistic regarding how many blogs are abandoned in their first year. But if you Google “abandoned blogs,” various articles state that 95% of blogs are abandoned. Over the past year, I’ve been intentionally seeking out the mystery writing community. I’ve joined a couple of writing associations (Sisters in Crime and Mystery Writers Association) and follow various listservs and blogs that are devoted to the craft, research, etc. D.P. 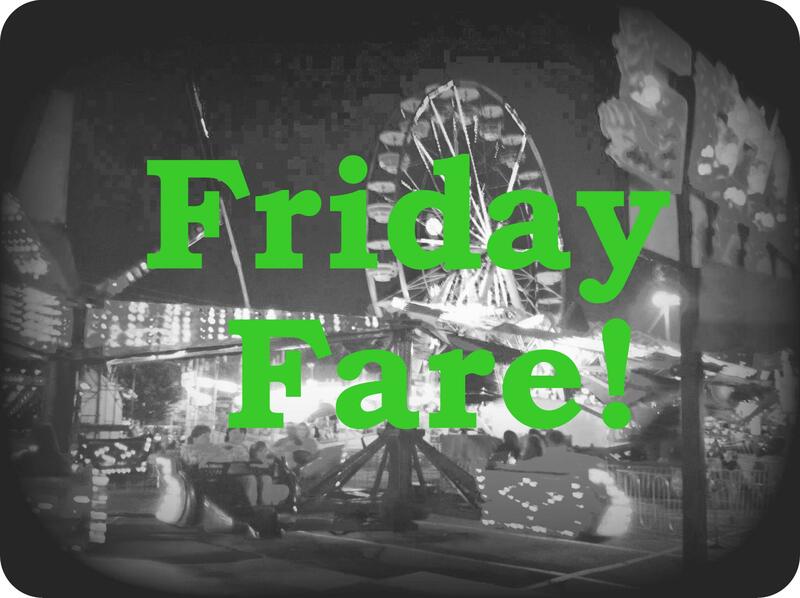 Lyle’s blog has become one of my favorites and there are times where I just feel so incredibly lucky and blessed to have a legitimate reason to read these things. 🙂 This recent Q&A blog is no exception to this rule. And this has nothing to do with writing, but it’s soup season. Here are a couple of recipes that will be making their appearance in my kitchen very, very soon! Listening to: Busted … a conference call. I’m multitasking. In terms of music, I’ve been digging playlists on YouTube lately – listening to old favorites and discovering bands that are new to me. Reading: I am a proud owner of a Kindle, but I also love physical copies of books. And thus far, the only duplicates that I have in electronic and physical form have been strategic buys. (i.e. – I love Deborah Harkness’s books. But dragging around my hardcover versions of her books around my house with two toddlers is akin to throwing a plugged in toaster into a bathtub. Not the smartest idea that I’ve ever had. So when her books have been on sale in the electronic format, I’ve bought them.) But earlier this week as I picked up the “latest” Sam Owens novel from J.T. Ellison, I kept thinking to myself … “why do I feel like I’ve read this before?” And not intentionally, I had purchased a paperback version and the ebook. Sigh! Fiction update: Plugging along. I’m getting to a scary part of my WIP that I know is not well written, so … let’s hope that the luck and muse that have been with me so far don’t abandon me in this crucial part of the journey! Finally … Happy Halloween! My husband and I are going to be escorting a mini-Batman and a garden gnome (sans hat and faux beard) for trick-or-treating tonight. At the tail end of last week, I submitted my memberships into the following organizations: Sisters in Crime and the Twin Cities chapter of Sisters in Crime. 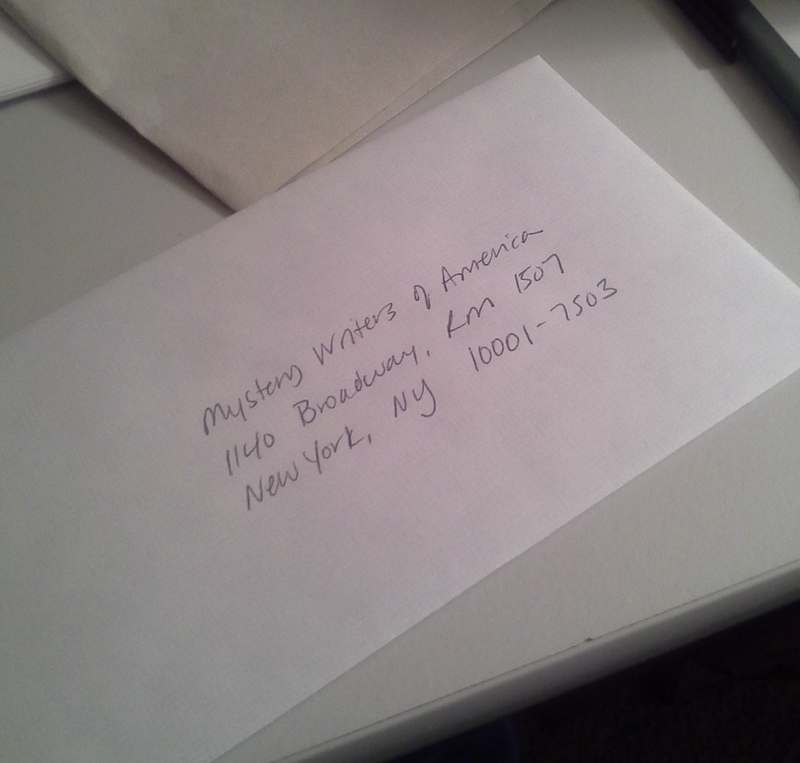 Tomorrow, my loving husband will send out my membership application for Mystery Writers of America (MWA). What do I hope to get out of these memberships? Does this bring me one step closer to publishing my novel? I’ve always been hesitant about sharing my work with other people, so why am I clamoring to join associations that will bring me closer to other writers and maybe (GASP!) cause me to share my word-babies with the universe? I’m not sure what the answers are to these questions. But in the meantime, this is something that I’ve done for me. I’m putting my money where my mouth is and I’m taking steps towards the goals I’ve set for myself.